The Buddhist scripture containing teachings that bestow heroic progress on the path to Enlightement The Suramgamsamadhisutra is an early Mahayana Buddhist scripture. 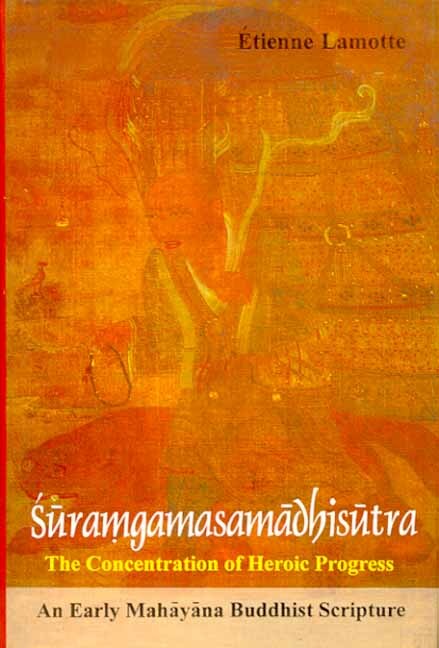 Within a narrative framework provided by a dialogue between the Buddha and the bodhisattva Drdhamati it airs central issues of Mahayana Buddhism by means of philosophical discussion, edifying anecdote, marvellous feat, and drama. At its core is a description of the seeming conversion of Mara, the embodiment of all malign tendencies that obstruct advancement, and the prediction that he too will become a Buddha.